A program for admins and gamers tired of typing commands into the console. 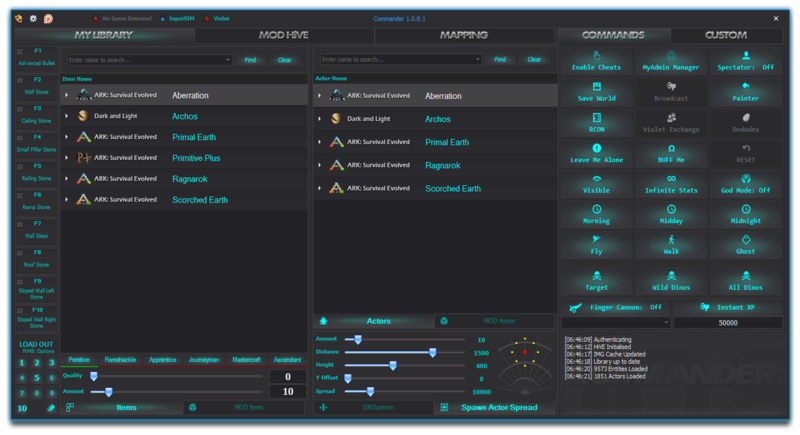 Commander holds an up to date list of entities, dinos and mods that you can spawn with a simple ‘double-click’ plus many other useful functions. Copyright © 2019 SparcMX. All rights reserved.